Samuel J. Kirkwood served as governor of Iowa during the Civil War years, from 1860 to 1864. He was a strong leader and a firm believer in individual rights. 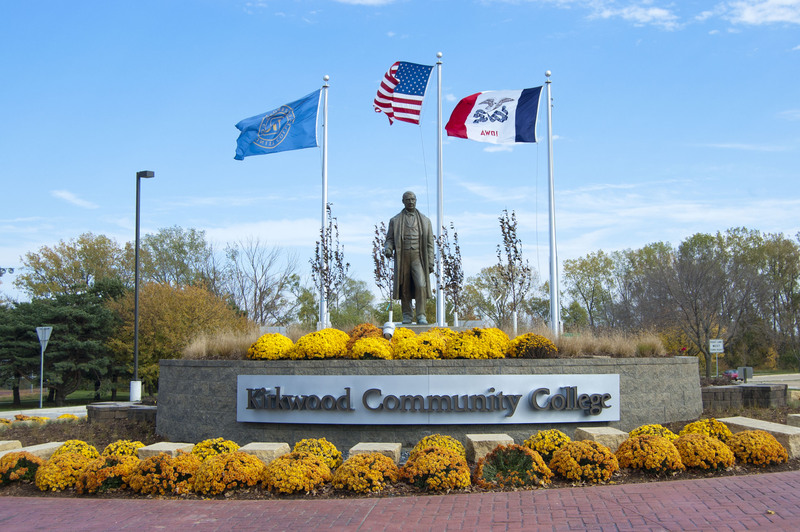 Kirkwood Community College takes its name from Governor Kirkwood and reflects the ideals he set forth in fostering hope, talent and opportunities for all people. The Samuel J. Kirkwood Society is made up of individuals who support Kirkwood Community College, the Older Iowans Fund or KCCK-FM. They have either endowed their gift or created a planned gift through a charitable trust, charitable gift annuity, life insurance policy, bequest, or retirement plan designation. Each fall, in the spirit of celebration and recognition, Samuel J. Kirkwood Society members are invited to the campus for a special dinner in their honor. By joining the Samuel J. Kirkwood Society, you have created a legacy to live beyond your lifetime. Your gift indeed makes a difference...to the college, our programs and services, and most of all, to our students. For questions on how to become a member of the Samuel J. Kirkwood Society, contact Jody Pellerin, Director of Planned and Endowed Giving, at jody.pellerin@kirkwood.edu or (319) 398-5409.